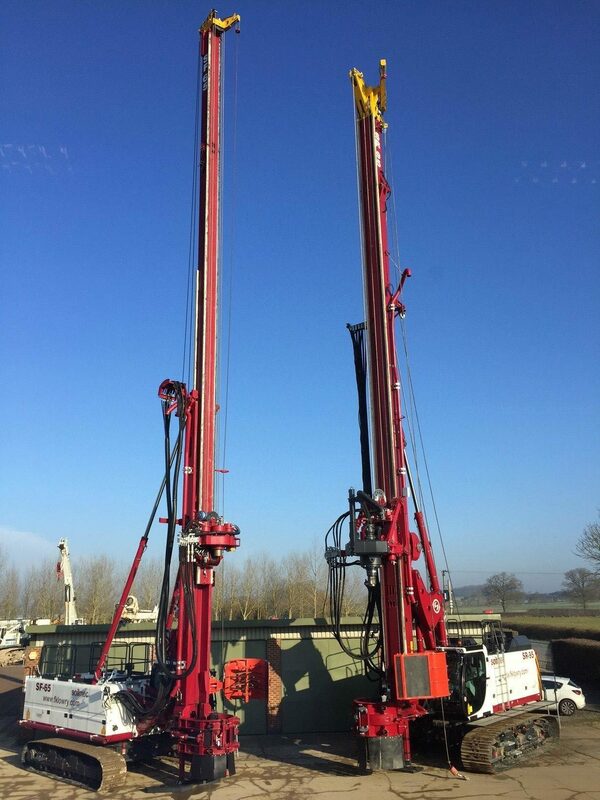 Lagan Construction Group’s Plant Department has welcomed several new state of the art, bored piling rigs to its already substantial inventory of Plant and Machinery. By further investing in the new Soilmec SF-65 and Soilmec SR-95 bored rigs, Lagan Construction Group has been able to boost its in-house capability and reduce rental costs – leading to even more cost effective solutions being offered to clients. With investment in plant and machinery to date surpassing £4.5million, Lagan Construction Group prides itself on being able to provide an ‘end-to-end’ service that takes into account all provisions necessary to facilitate an effective and competitive service. The new Soilmec bored rigs will be operated by FK Lowry Piling (part of Lagan Construction Group) and reflect the businesses desire to carry out larger diameter and deeper CFA and Rotary Bored Piling for numerous applications in Ireland, the UK and beyond. The SR-95 drilling rig is capable of a Rotary Bored drilling depth of 41m with a 4 part x 11.5m long Kelly Bar and 26.5m deep CFA piles in 2-line CFA quick change mode. Lagan Construction Group’s Piling Division continually focuses on developing the most innovative piling schemes, supported by industry knowledge and experience gained over four decades. It is dedicated to providing high quality foundation and infrastructure solutions for projects of all sizes and complexity – from major civil engineering schemes to large commercial contracts and one-off residential developments. To find out more about Lagan Construction Group’s Plant Department click here. To find out more about Lagan Construction Group’s Piling Division click here.